Something new! Every Friday, I'm going to post something that inspires me, makes me happy, or is just plain silly. I was going to post only movie links but may branch out to websites and books if I feel like it. Basically, I love this (whatever I'm going to share) and I think you will too. 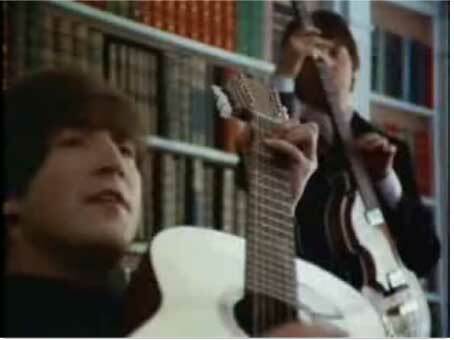 For my first share: a scene from my favorite Beatles movie, Help! You've Got to Hide Your Love Away and The Amazing Adventures of Paul on the Floor. A fan has sent Ringo a sacrificial ring from her temple. According to temple law, the wearer must be painted red and sacrificed. There's only one way to take the ring off, and Ringo doesn't know what it is. (I hope that I usually won't need to set up the videos, but honestly, you're not going to have a clue what's going on if you haven't seen it.) Go watch!